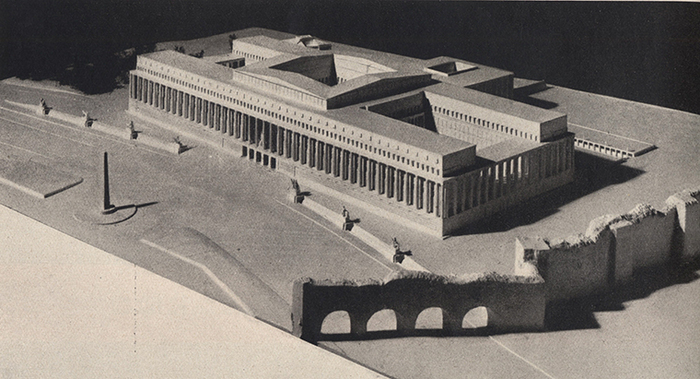 Mario Palanti, project for the Palazzo del Littorio, Architettura (December 1934), Rome. 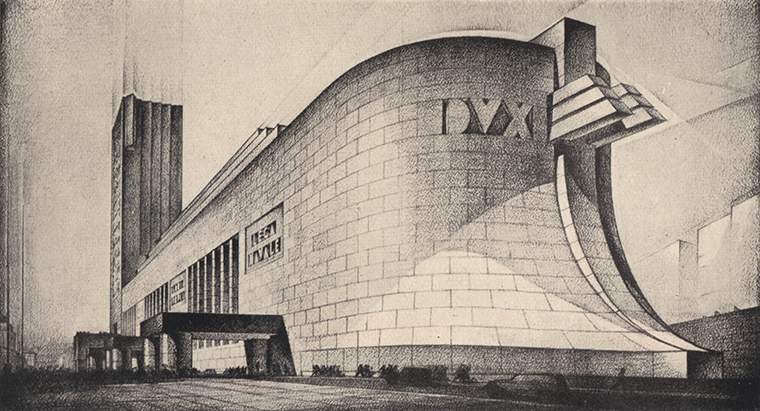 In 1932, Benito Mussolini declared, "In my opinion the most important of all the arts is architecture, because it includes everything else." 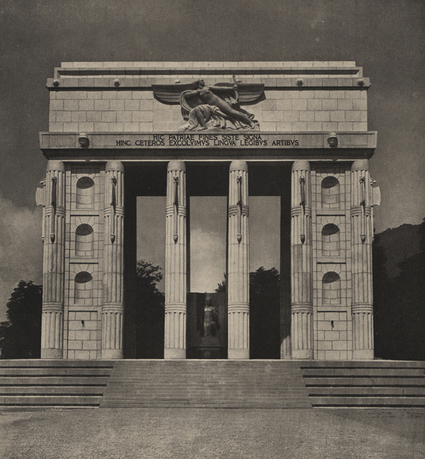 This study on Mussolini as dux and architect in Italy during the Fascist period (1922–43) expands traditional interpretations of Fascism that focus on Mussolini's exploitation of architecture as a powerful tool for achieving political consensus. It advances the claim that he devised and implemented a scheme for transforming architecture into an instrument for the education of the masses—a tool capable of determining public behavior and influencing opinion. 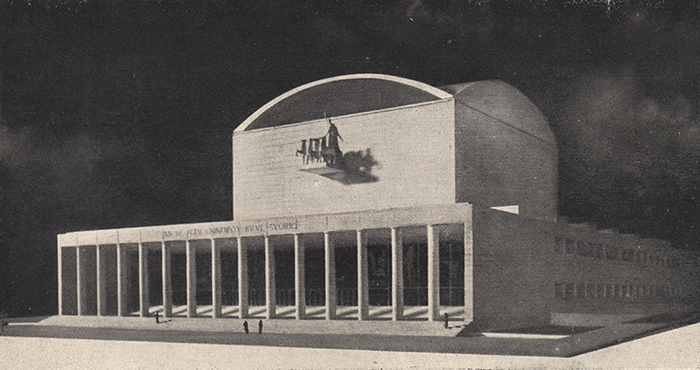 Among the case studies analyzed is Mussolini's Città Universitaria in Rome, “designed” in collaboration with Marcello Piacentini and various other others, to serve as an architectural workshop, whose main purpose was the achievement of a stylistic unity of orientation, a first step in the process of giving architecture a more systematic and effective presence of in the totalitarian state. Paolo Nicoloso is assistant professor in the history of architecture at the Università di Trieste. His research centers on the twentieth-century European context, and his publications include Architetture per un'identità (Udine; Gaspari, 2012), Mussolini architetto (Turin; Giulio Einaudi, 2008), Gli architetti di Mussolini (Milan; Franco Angeli, 1999), and a recently edited volume, Le pietre della memoria: Monumenti sul confine orientale (Udine; Gaspari, 2015).